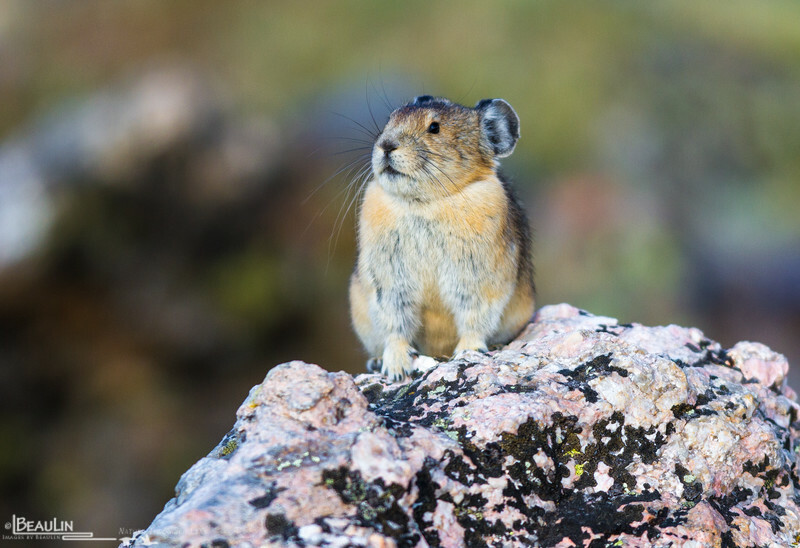 Pika in the Alpine tundra of Rocky Mountain National Park on alert for predatory threats. Unlike other subnivean mammals, pikas do not hibernate during winter. Instead, they scurry endlessly during the short alpine summer to stockpile tundra grasses, sedges & forbs in their "haystacks" that will get them through the 6-month long alpine winter. In addition to minding their stores, they are constantly vigilant for threats from the air and ground such as bobcat, ermine, long-tailed weasels, ravens and various raptors.